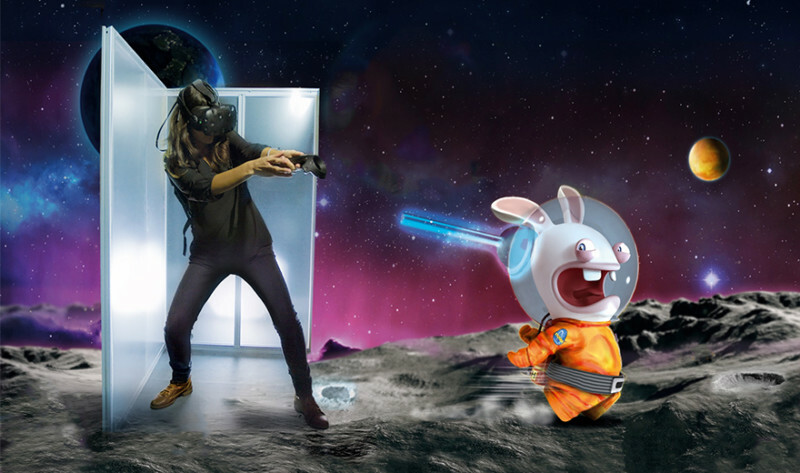 Two popular video games will soon have virtual reality versions, thanks to a new partnership between attraction creator Triotech and video game creator Ubisoft. One new offering will be based on the decade-old Rabbids franchise. It will be interactive, says Triotech President and CEO Ernest Yale. “Guests will feel the physical world. They’ll be able to walk around and touch walls and go down in an elevator,” he says. 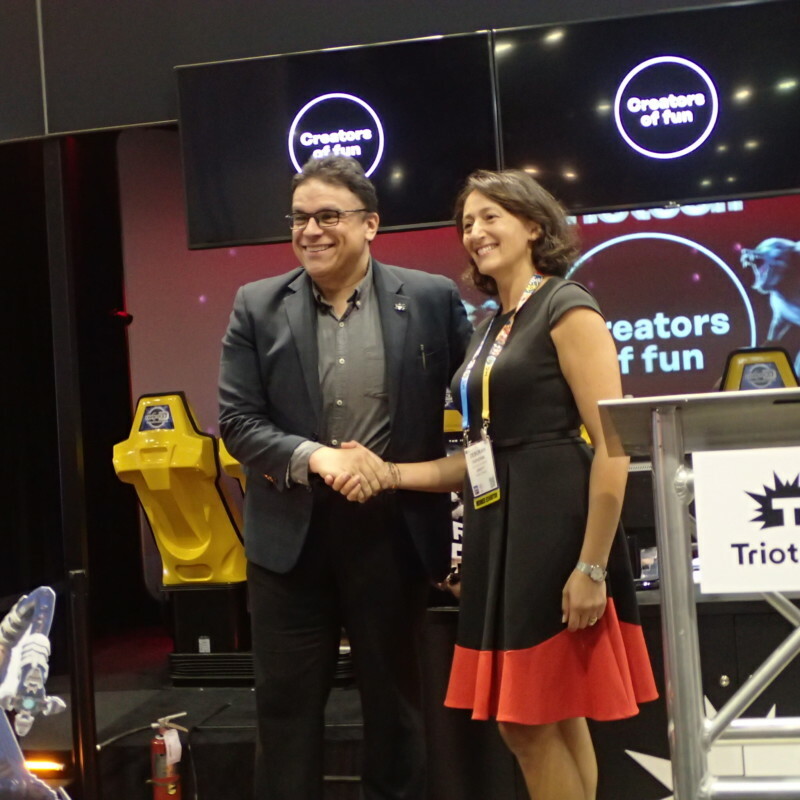 Ernest Yale, Triotech with Deborah Papiernik, Ubisoft at IAAPA Attractions Expo 2017. Photo by Rona Gindin for InPark. The two companies are also developing content for Assassin’s Creed, which specializes in highly detailed historical settings, said Deborah Papiernik, Ubisoft’s senior vice president of new business development, technology and strategic alliances. The new challenge will be maze-based and will involve exploring an Egyptian temple. The new experiences will be modular and able to fit into spaces as small as 10 square meters (108 square feet). Asterion VR provided technology. The announcement was made at the IAAPA Attractions Expo in Orlando, Florida.